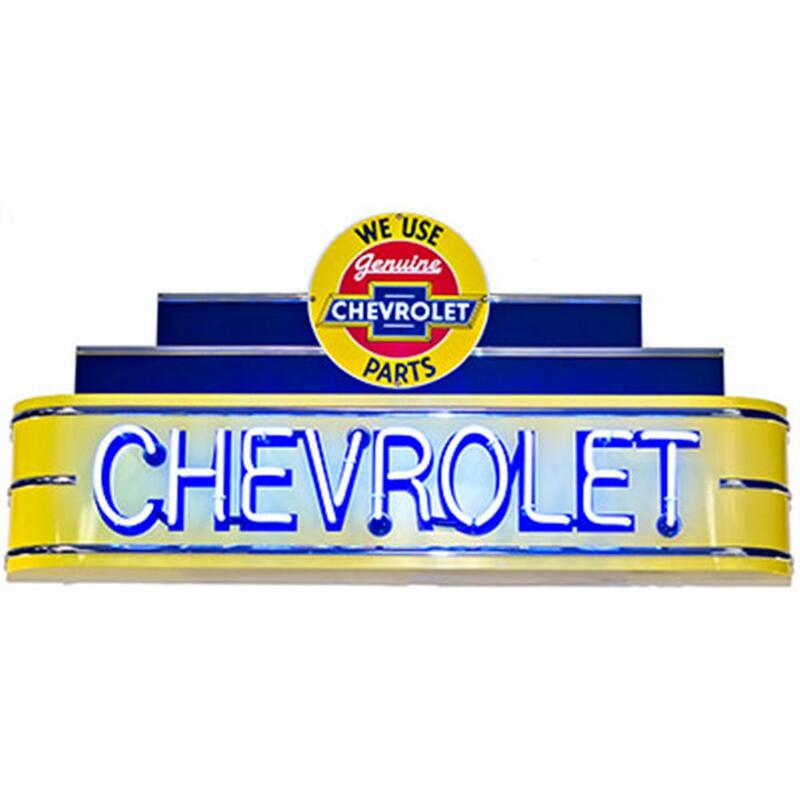 Like our neon clock signs, this durable, all-steel constructed Chevrolet Genuine Parts Marquee Style Neon Sign is powder coated as smooth as porcelain. Each sign includes a UL listed American made transformer with a 3 year warranty and protection circuitry for safety. Easy to use pull chain on/off switch. Standard 110 volt plug. Fully enclosed metal back with keyhole slots at standard stud spacing for easy hanging. Approximately 48" long x 24" high x 8" deep. Proudly Made in the USA! Ships oversize Ground in custom designed package for guaranteed safe arrival. General Motors Trademarks used under license.